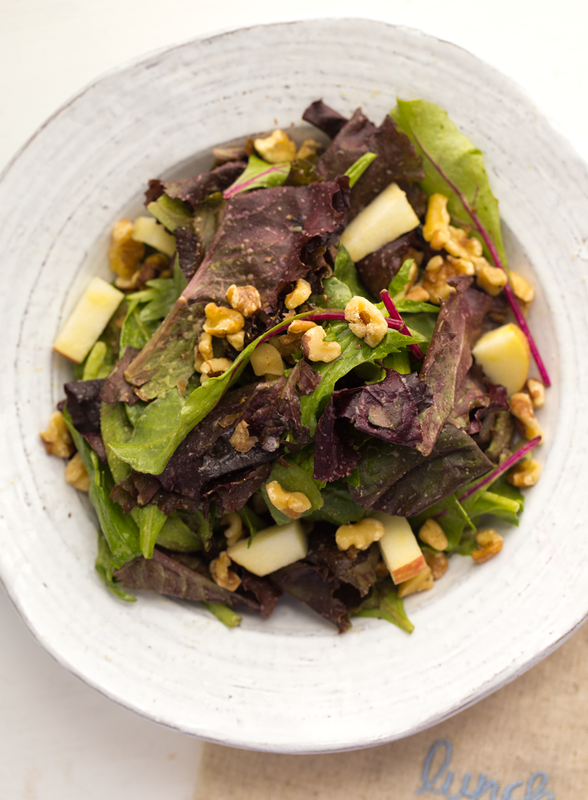 Drizzle this dressing over all your favorite veggies and salads and add flavor in seconds! Yes, this was a BIG drizzle..
Skillet Sauce. I recently took a few cups of leftover steamed cauliflower, broke the large pieces into florets, and tossed them in a hot skillet with a splash of EVOO. 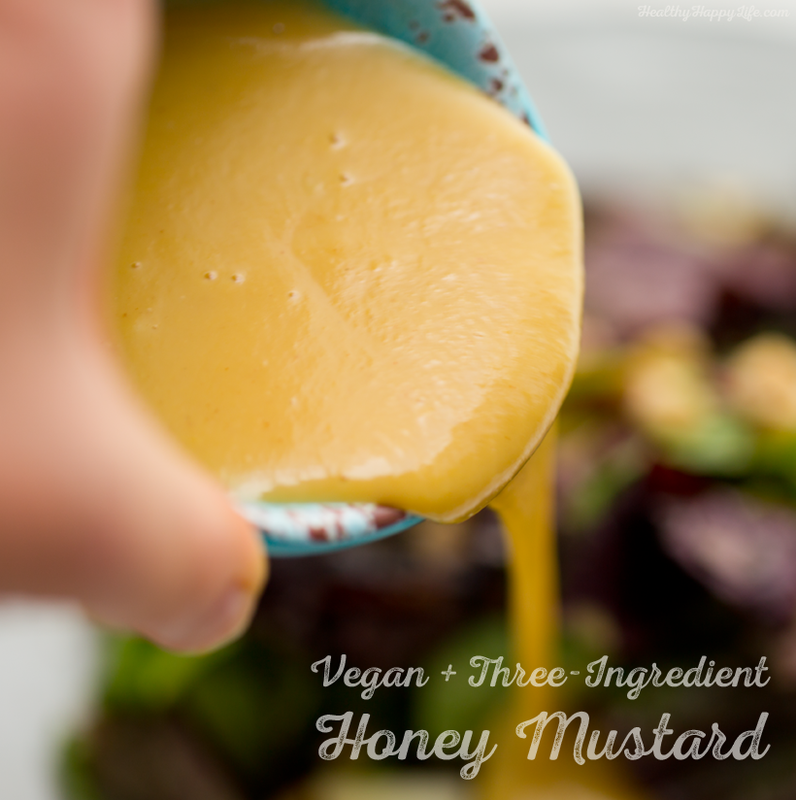 About a minute before finishing up the quick saute, I drizzled in my vegan honey-mustard sauce. The skillet sizzled, the cauliflower browned and caramelized in seconds from the sweet maple ingredient - which browns and caramelizes quite quickly. The finished "honey mustard cauliflower" was super delicious! I served it with some fluffy quinoa and leftover spicy chickpeas. Dip! 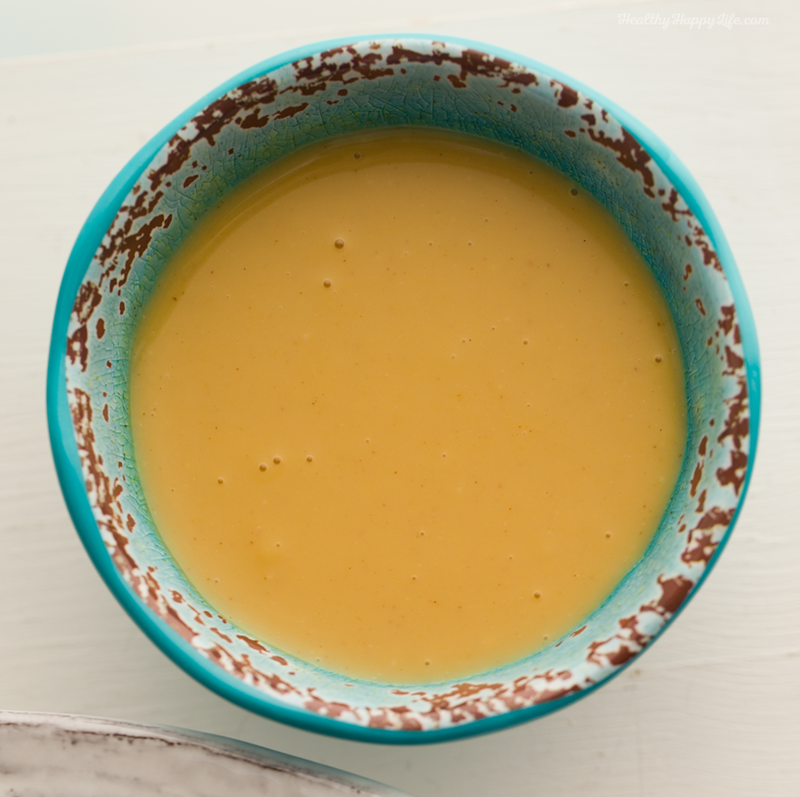 This sauce/dressing is also a great dip for vegan protein items like tempeh, tofu triangles of sticks, or even vegan protein products like Gardein and BeyondMeat, Field Roast and more. 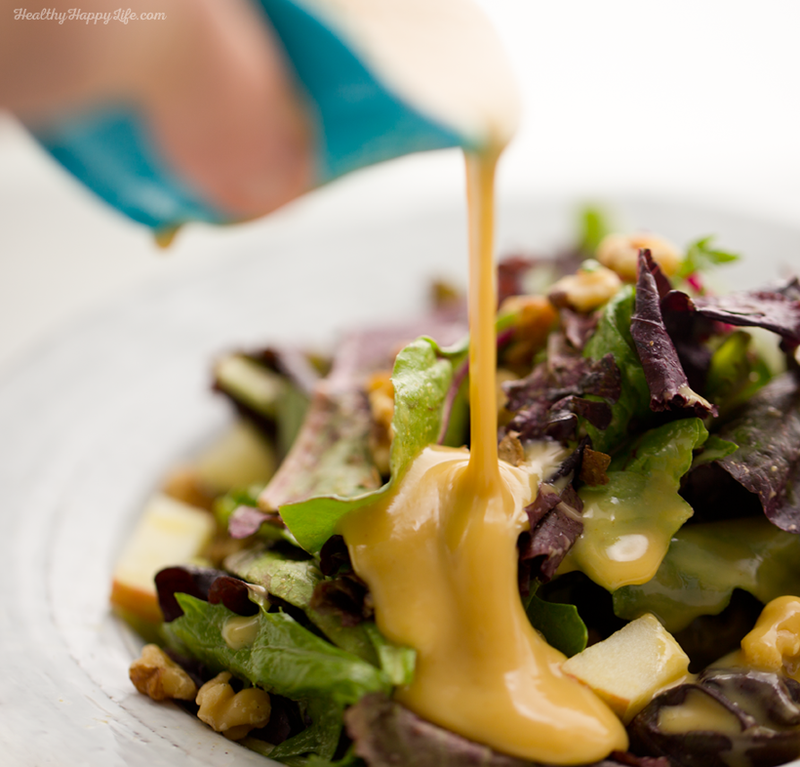 For the salad in the photos I did a super simple combo of chopped honeycrisp apples + raw walnuts and this honey mustard dressing - coating the baby lettuces. This salad was so simple, but SO good. Perfect for fall! I devoured it. To make this a meal, all I would've needed to add - some skillet chickpeas, tempeh cubes, tofu or lentils or other vegan protein-rich goodies. Maybe some avocado toast on the side, or soup. Y-u-m. Success Tips! 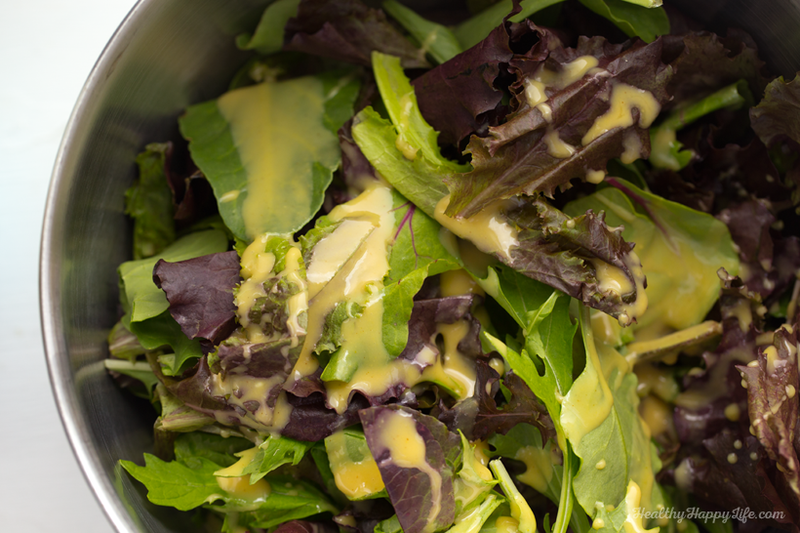 This dressing is a very concentrated sauce. In other words, a little goes a long way. 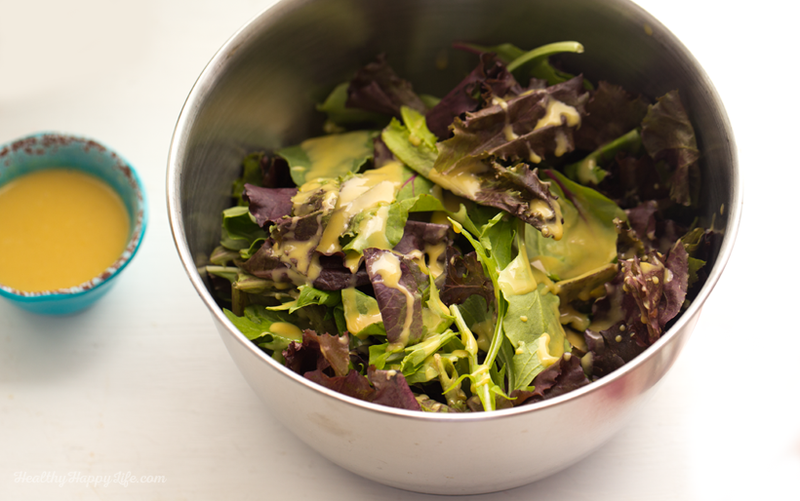 If you want a thinner, less intense dressing you can add 1-2 tsp lemon juice or even water. You can also reduce the maple syrup by a touch if you want it less sweet. Play around with these three ingredients if needed. 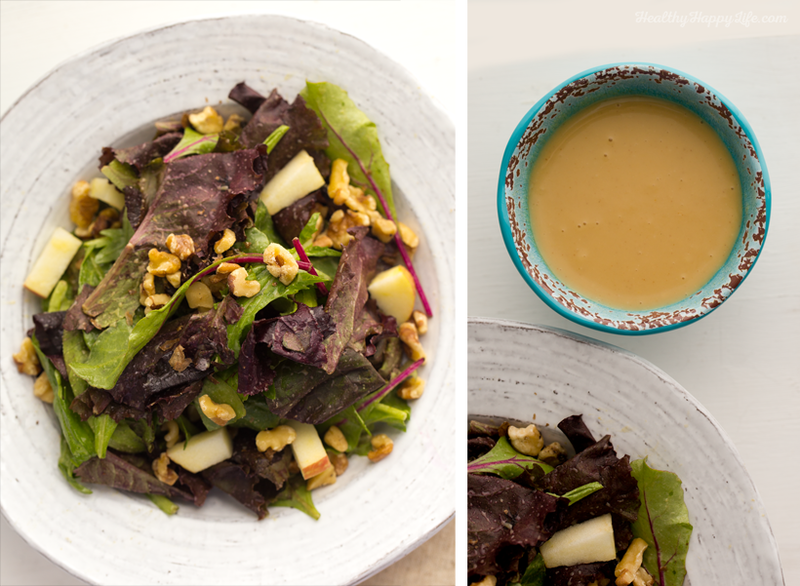 This spicy, sweet, super tangy and flavorful dressing wakes up salad greens in a flash! Simple recipe, make this in seconds. Add all ingredients to a small cup and whisk briskly until smooth and silky. Pour over top salads and veggies and more! Also a delicious dipping sauce.